We’re marketers AND consumers just like you. We share the same frustrations you do – and we’re determined to make ReachMail a very pleasant, EASY experience. How? Start off with no contracts and no commitments, then add in a free custom designed template with a paid annual account. Top it all off with free support and free training, and as much or as little help as you need. We believe our customers will be loyal if we’re loyal to them. 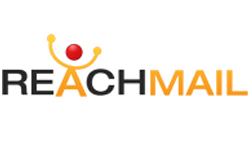 So we focus every day on improving ReachMail to make your email marketing experience positive and rewarding. Create, schedule and send mass email marketing campaigns online for free forever! Enjoy hundreds of templates, outstanding deliverability, and detailed reporting. Advanced tools are built right in including Social Media Sharing, Message Testing, Auto-Responders, Transactional emails, Surveys, and an API. We provide free support – phone and email to make sure your email campaign is done right!